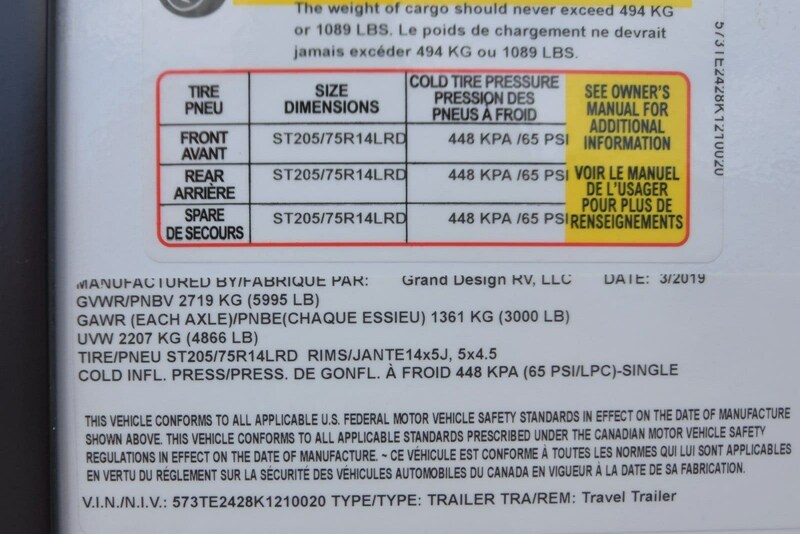 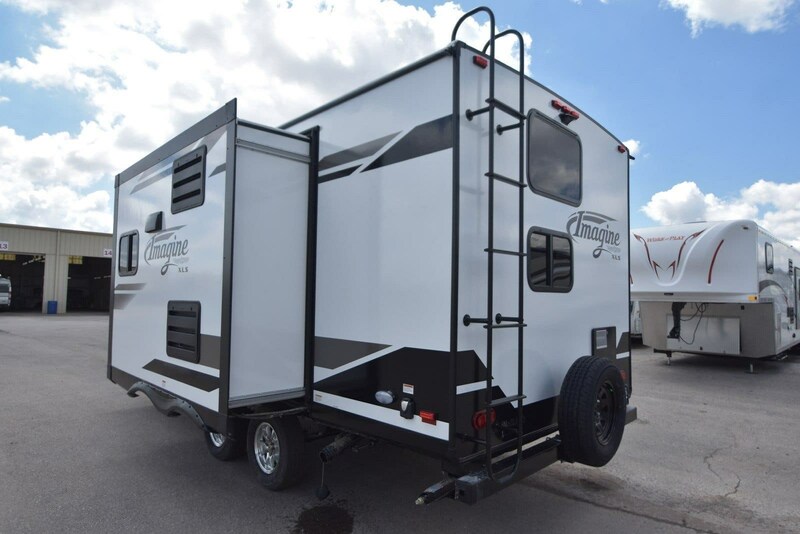 Imagining a bumper pull that is full of beautifully designed amenities and easy-to-tow. 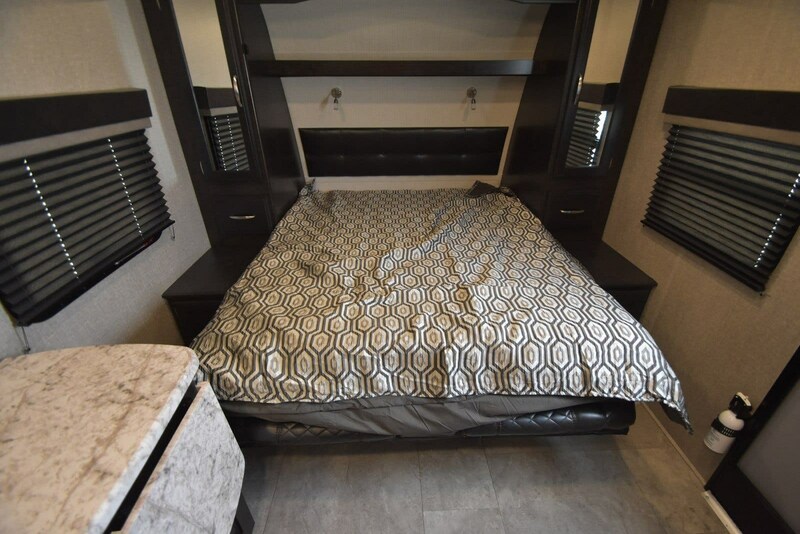 Well you don't have to dream any longer! 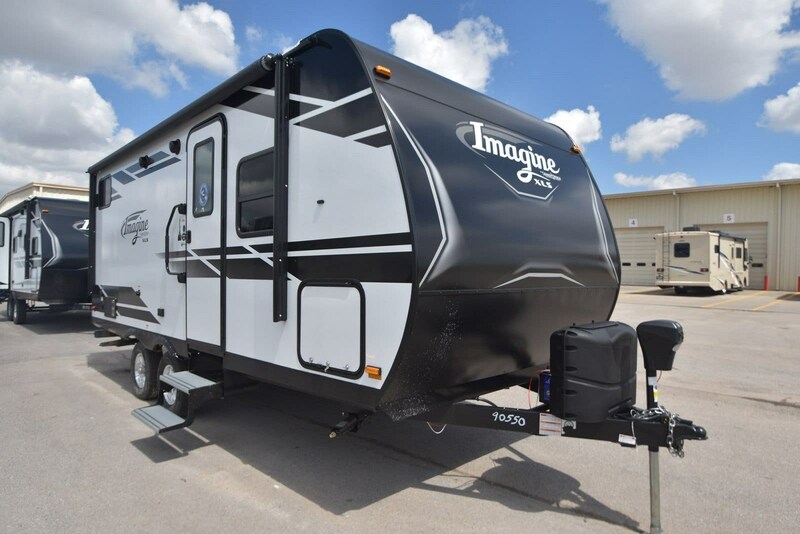 The Imagine XLS 19BWE lightweight trailer from Grand Design hits the nail on the head! 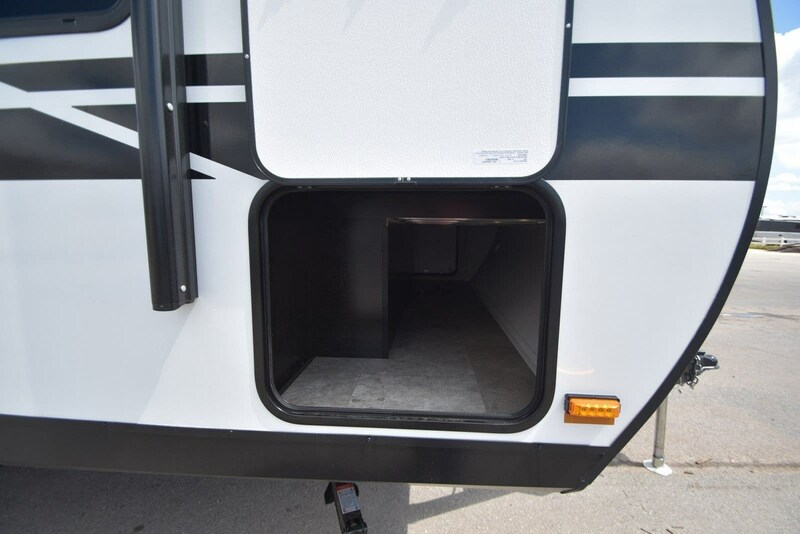 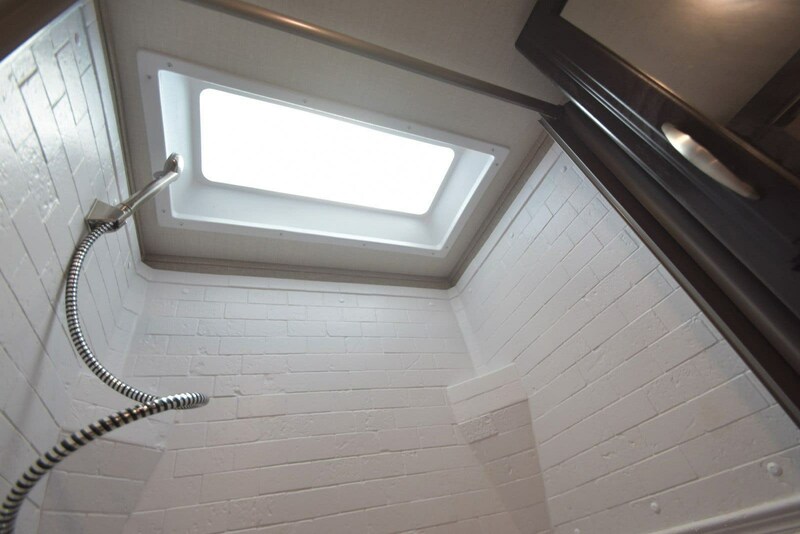 You'll enjoy a huge pass through storage area, a roof ladder and an electric awning with LED lights. 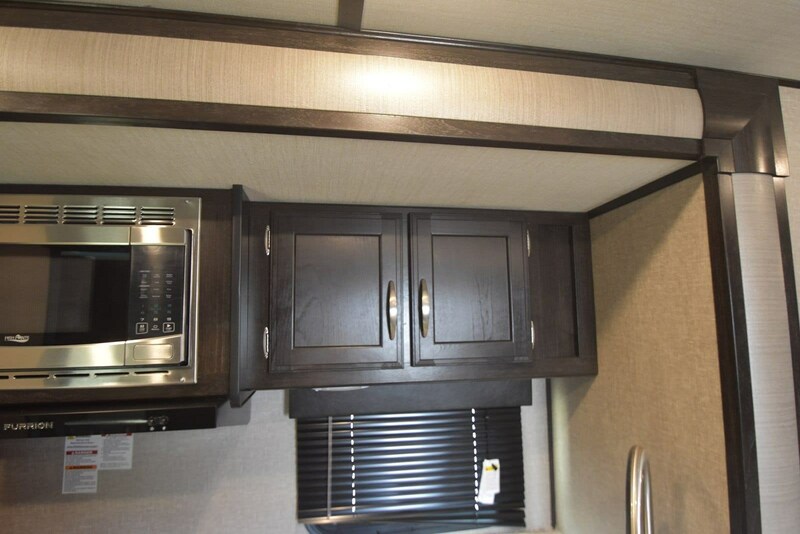 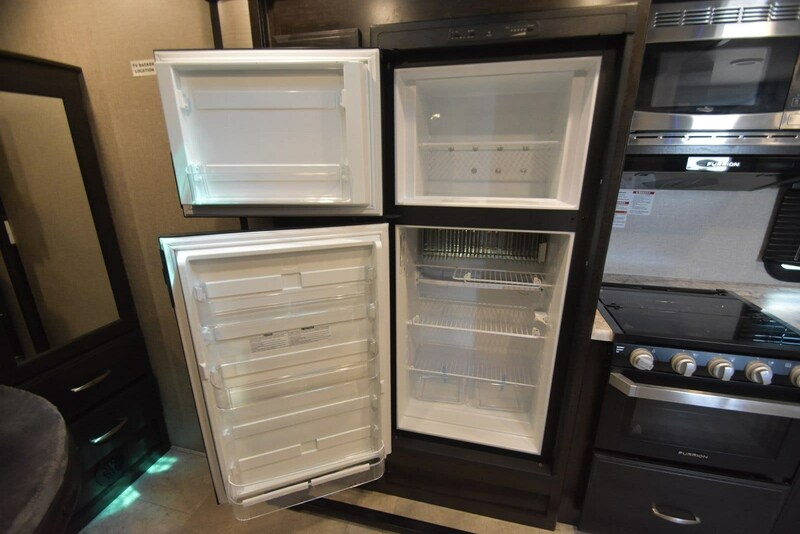 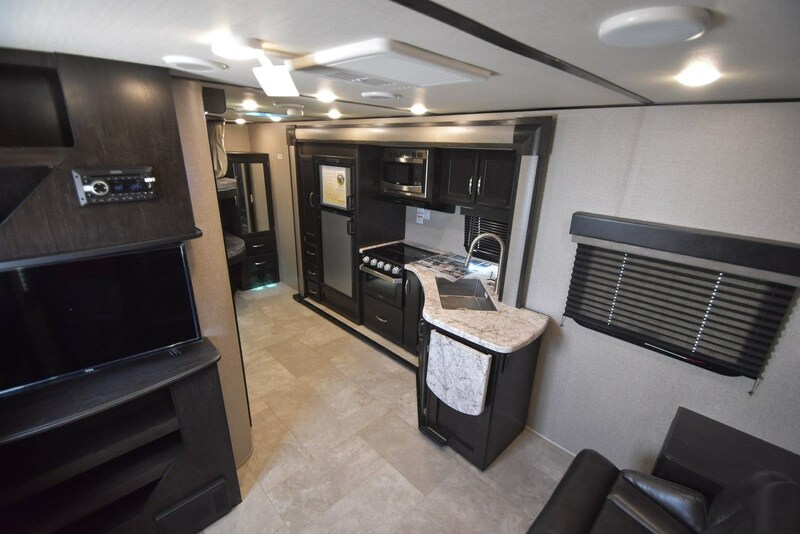 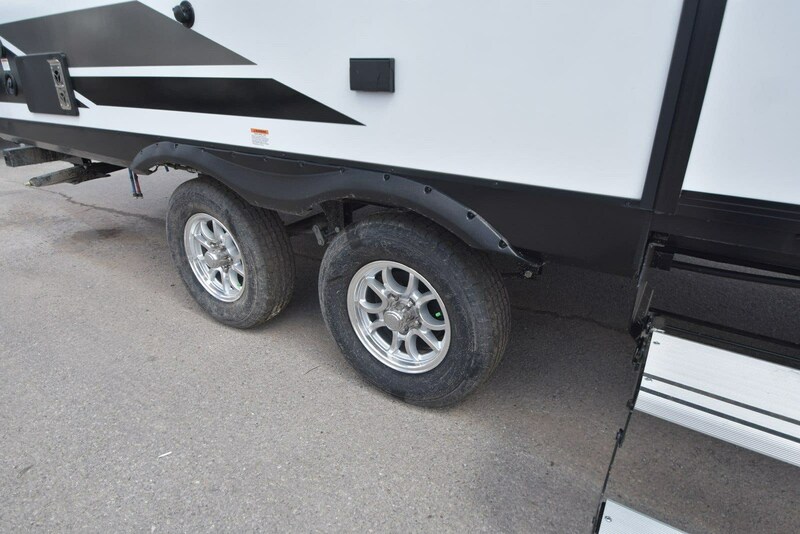 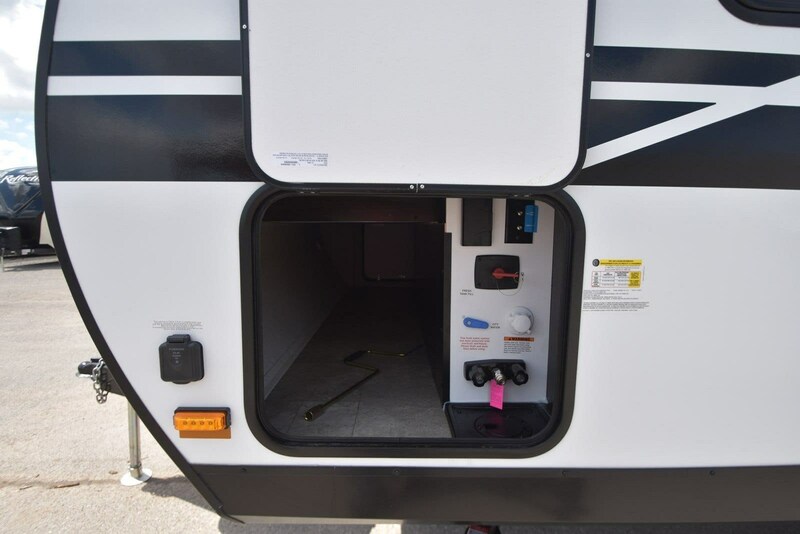 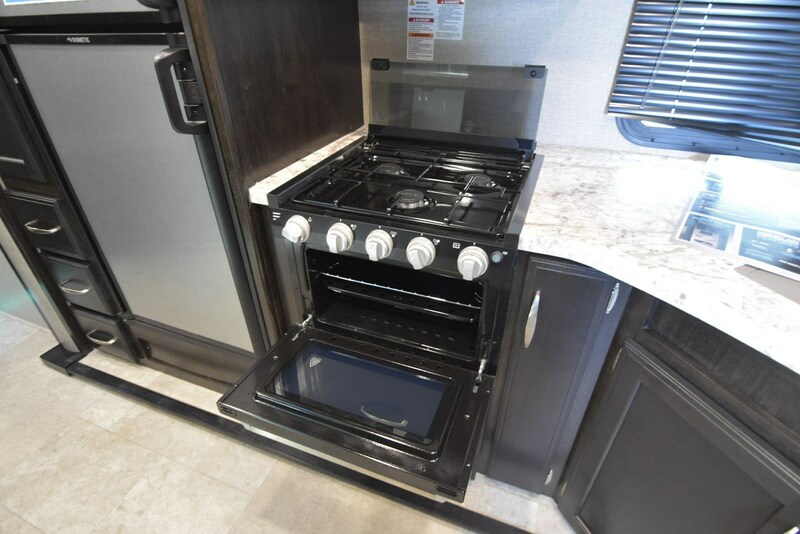 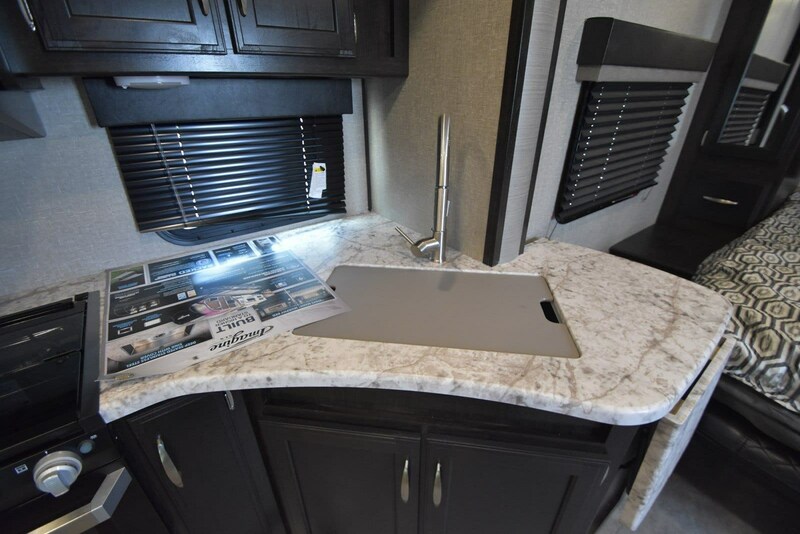 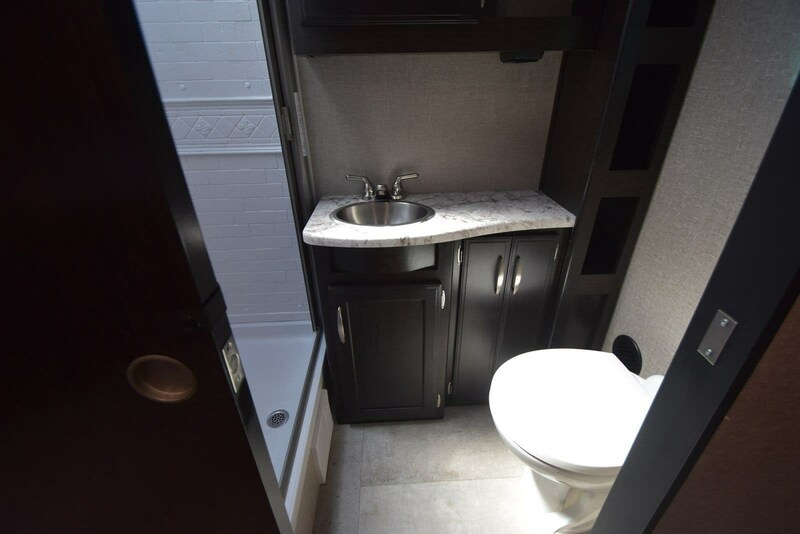 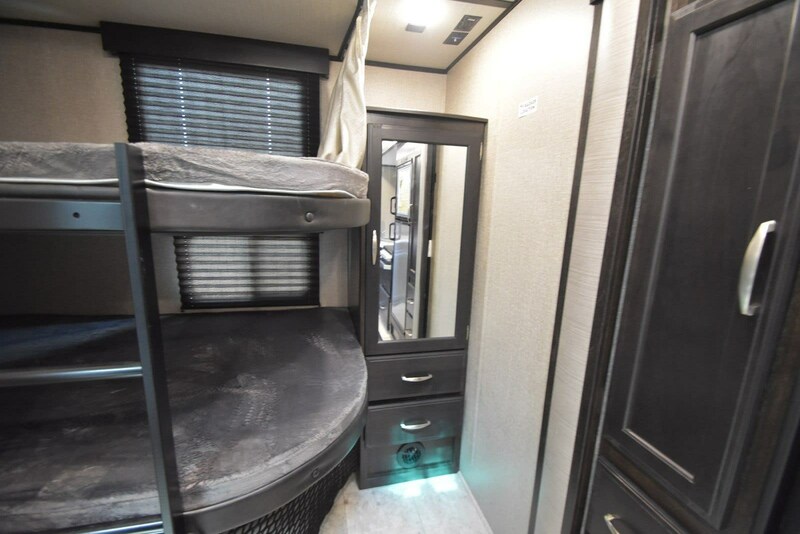 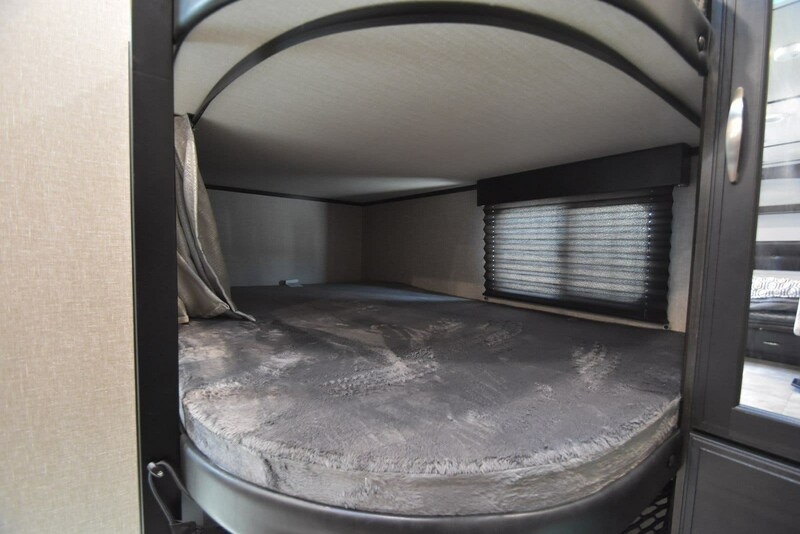 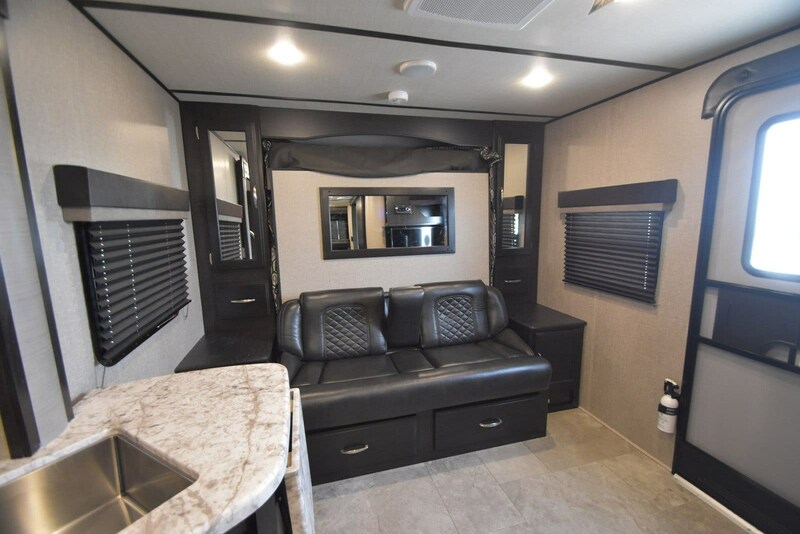 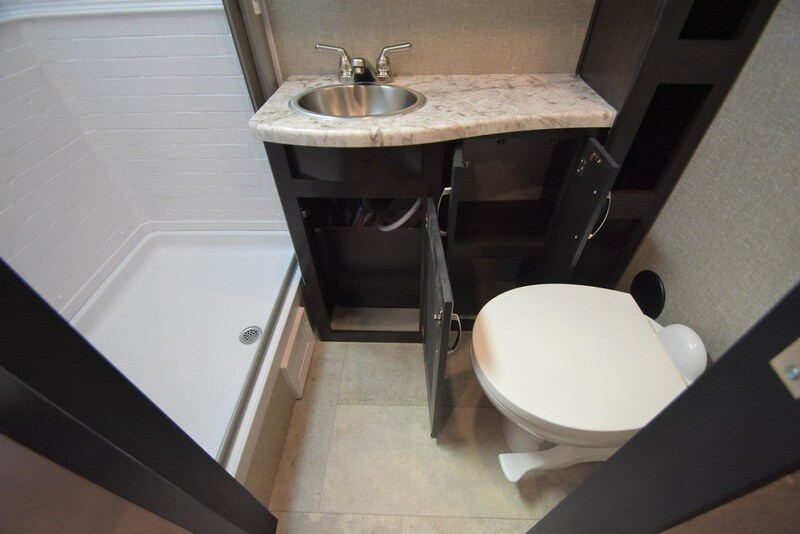 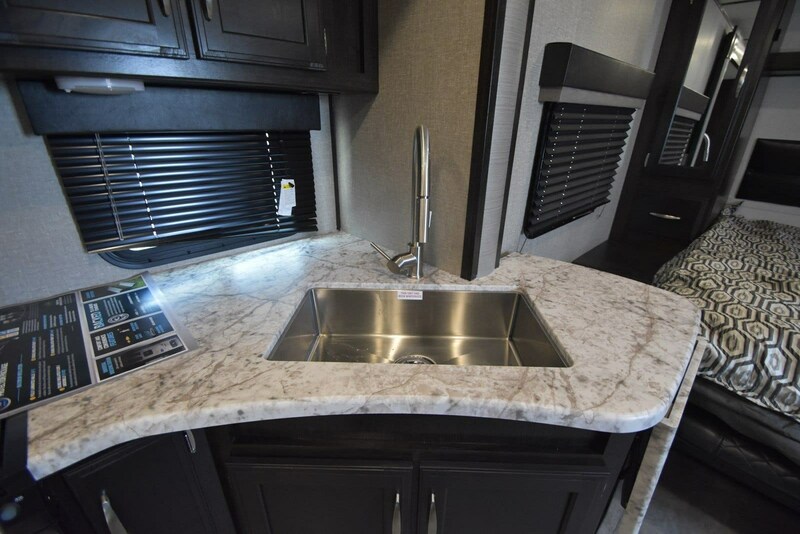 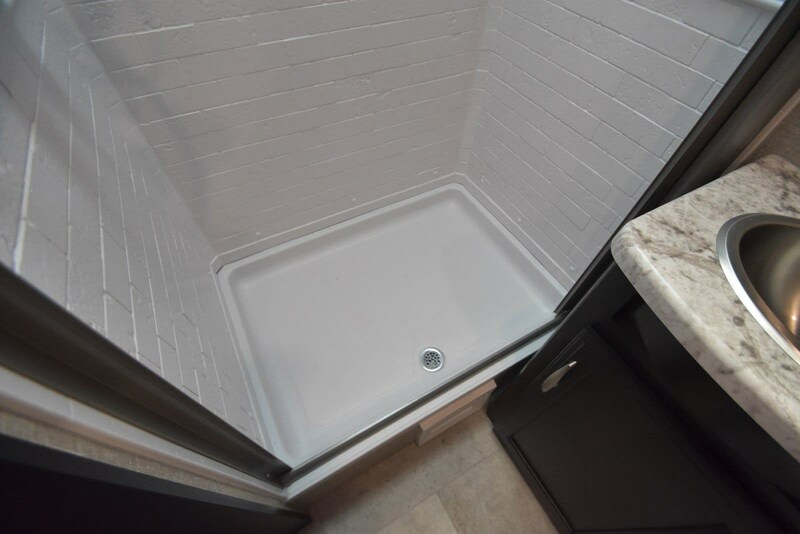 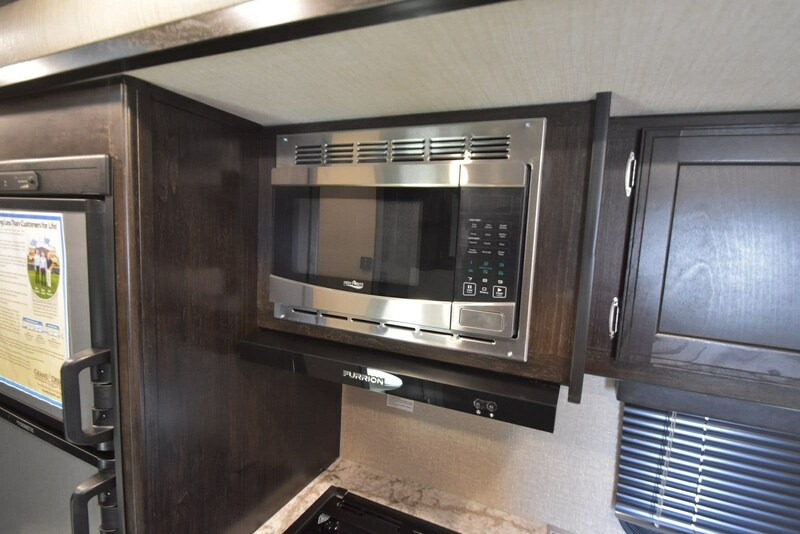 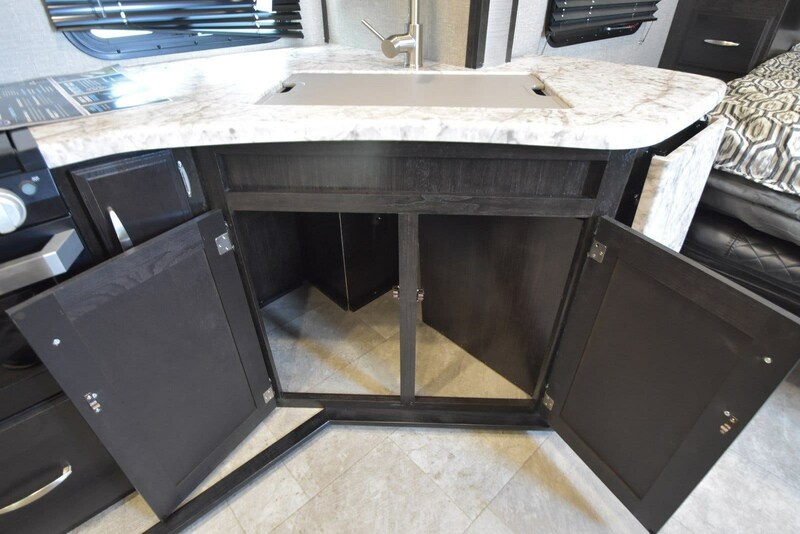 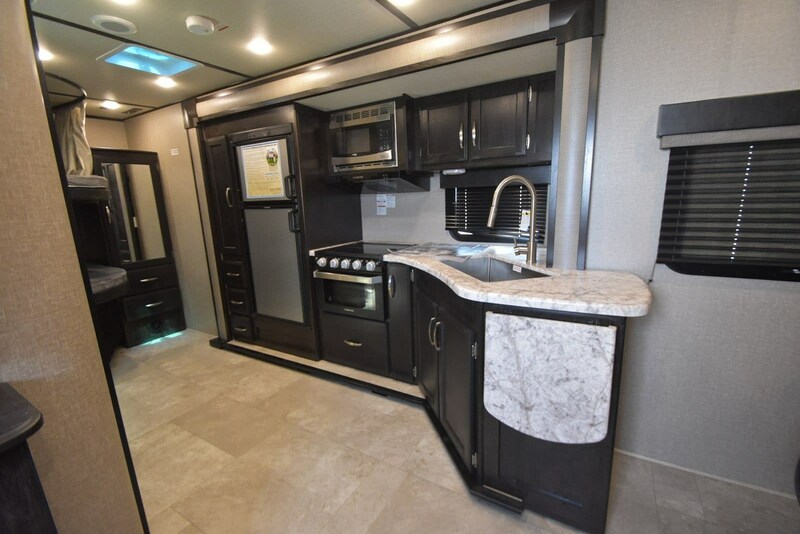 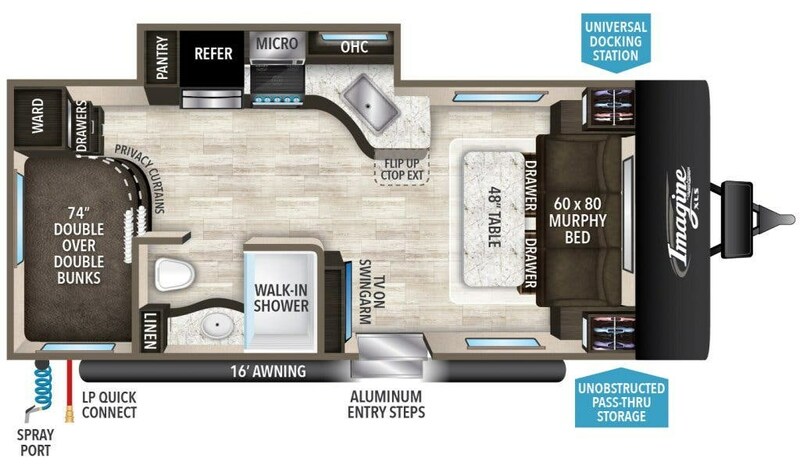 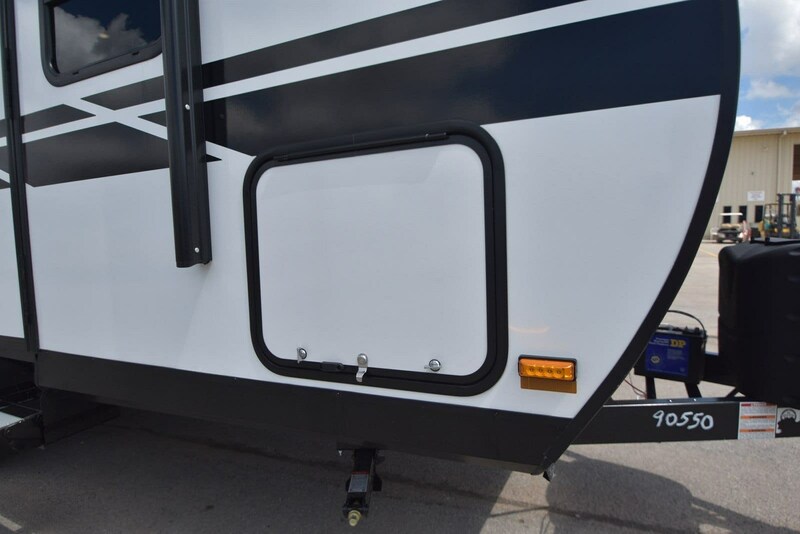 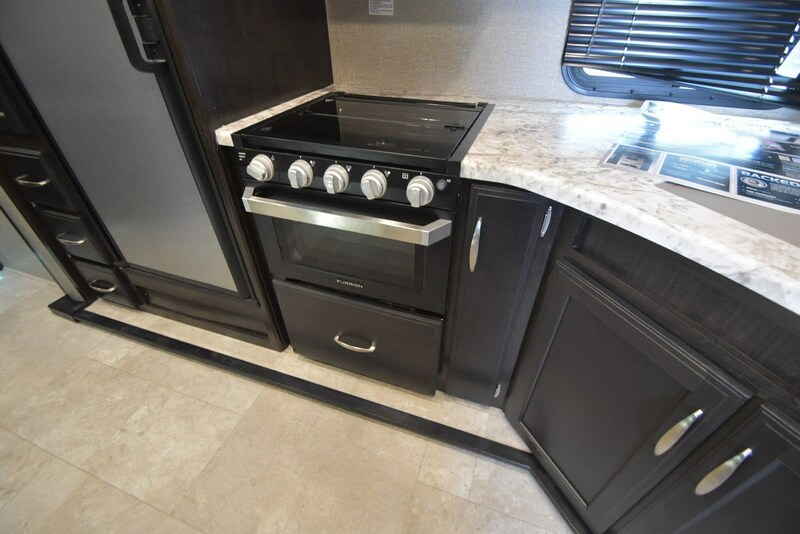 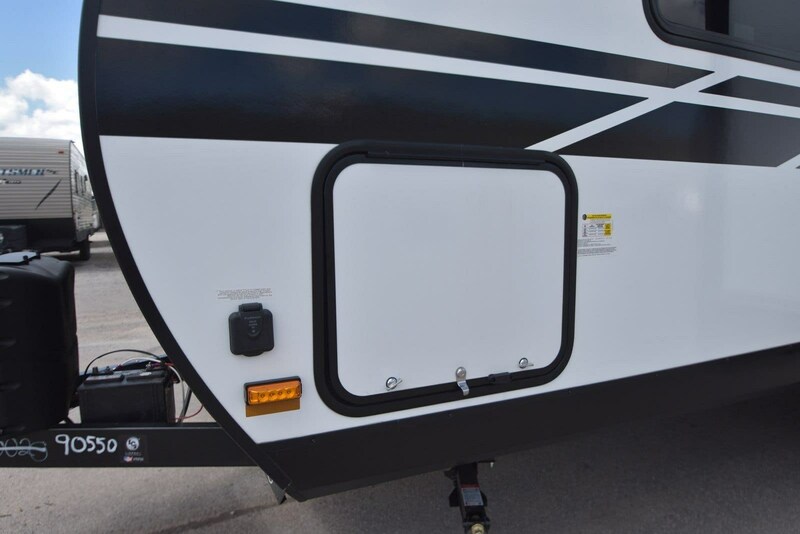 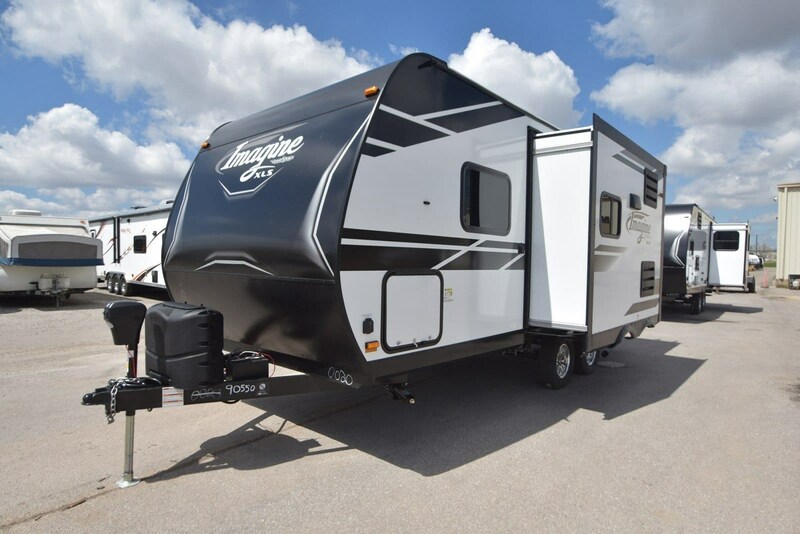 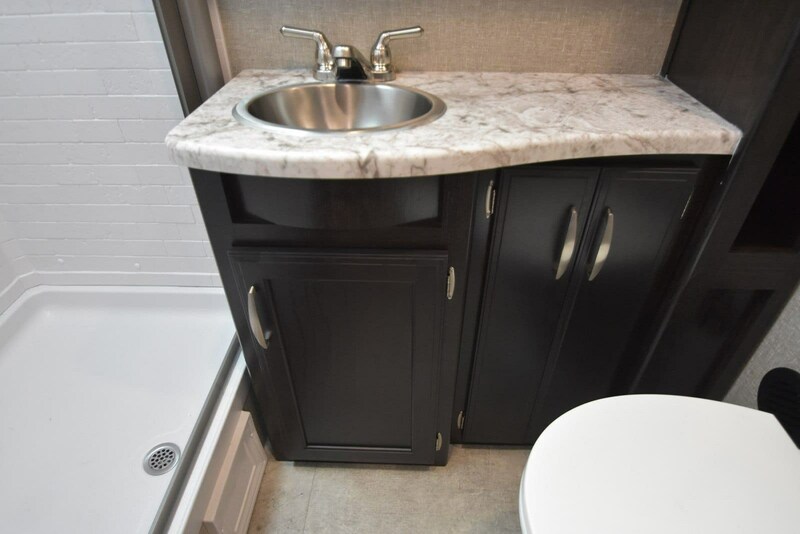 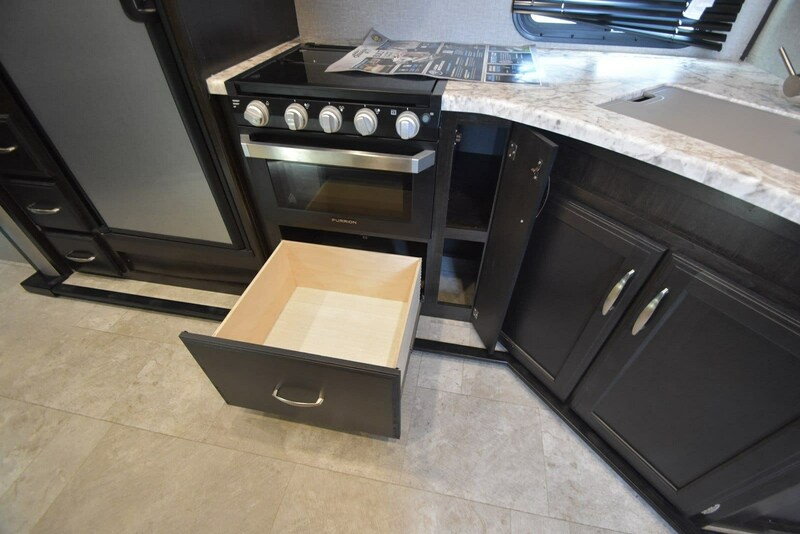 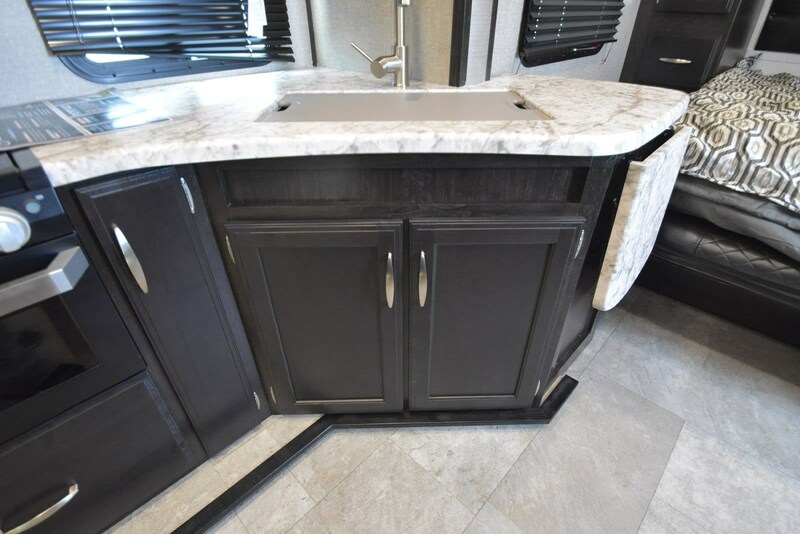 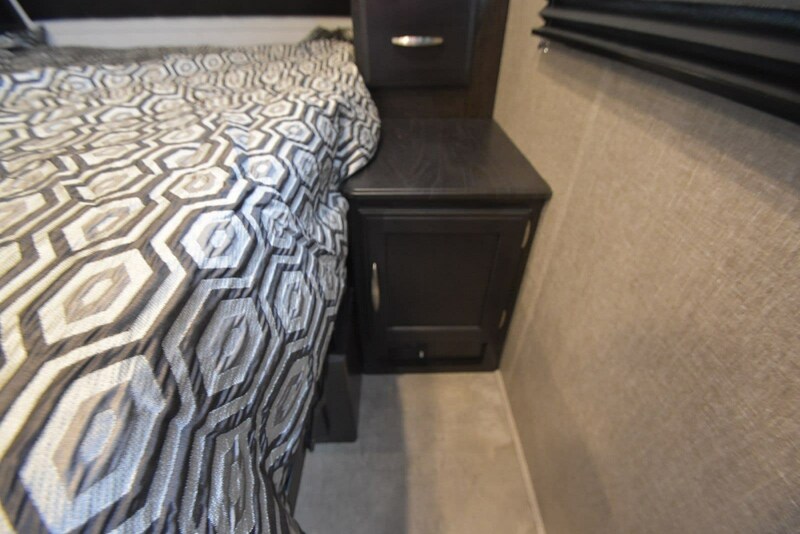 But that is just scratching the surface of this little RV gem.Stepping into the Imagine, you will love the atmosphere set by the Cappuccino decor, the residential cabinetry and the LED lighting. 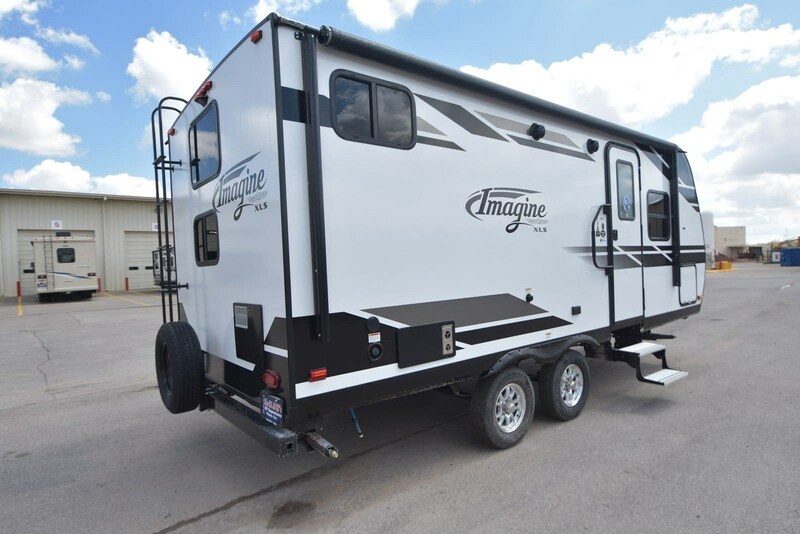 Upon entering you'll want to relax while sitting on the comfy sofa as you catch a movie on the flat screen TV.There are tons of sleeping options in the Imagine XLS 19BWE. 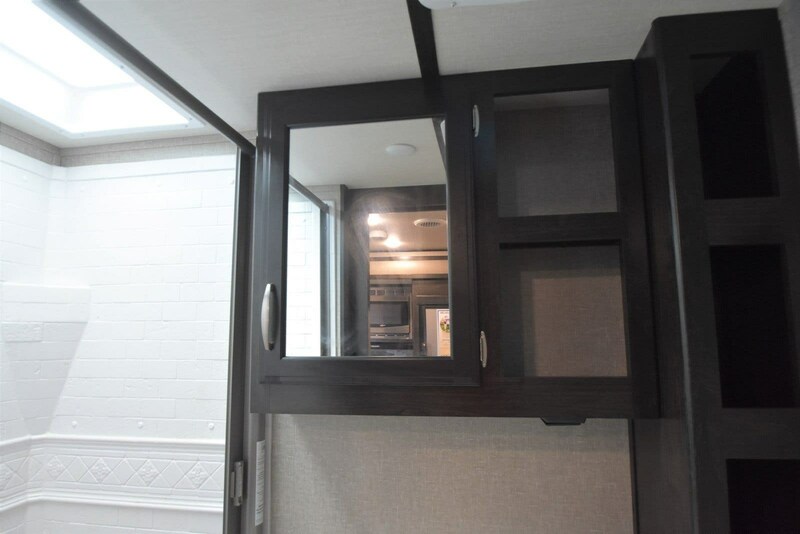 Behind the sofa in the living area is a fold down Murphy bed and in the back you can fold the U-shaped booth dinette down to ensure plenty of space for the whole family. 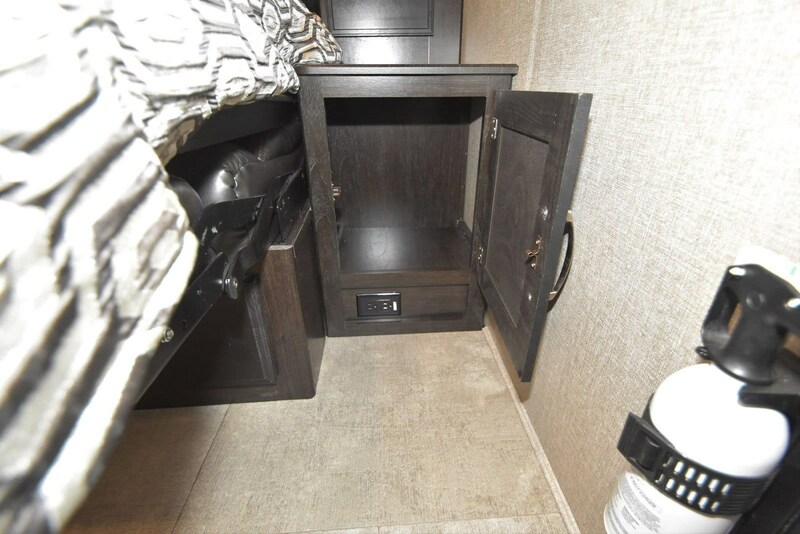 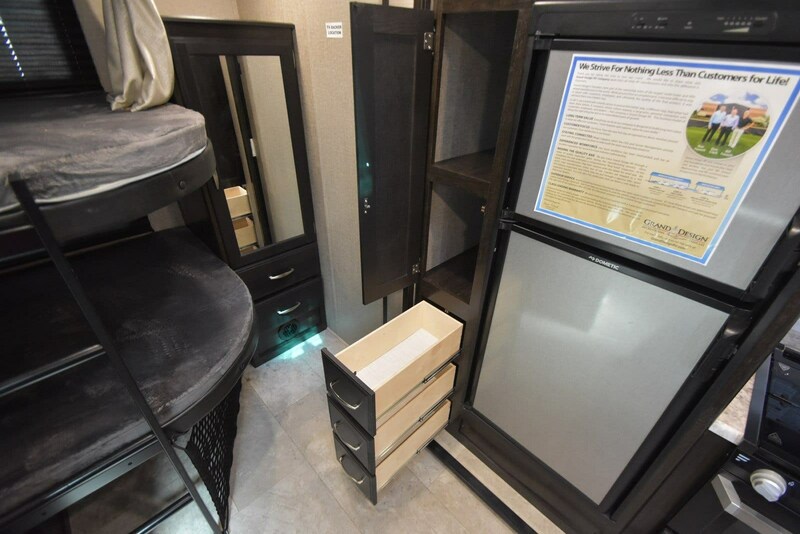 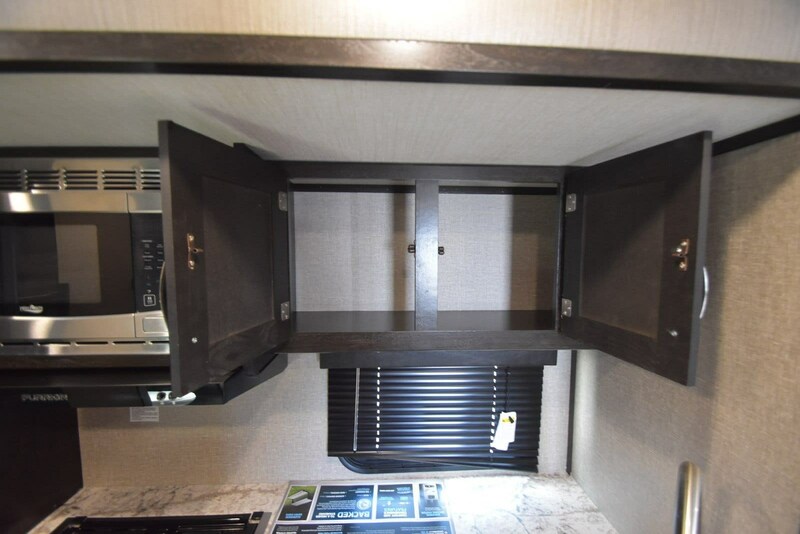 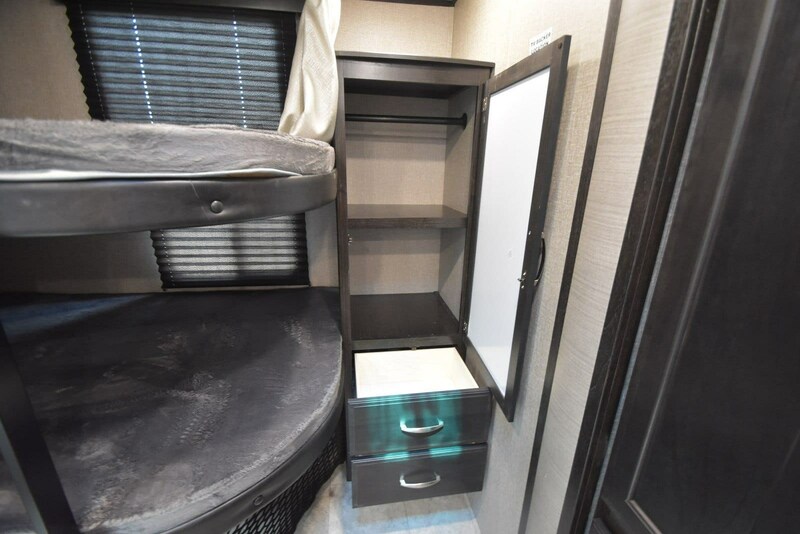 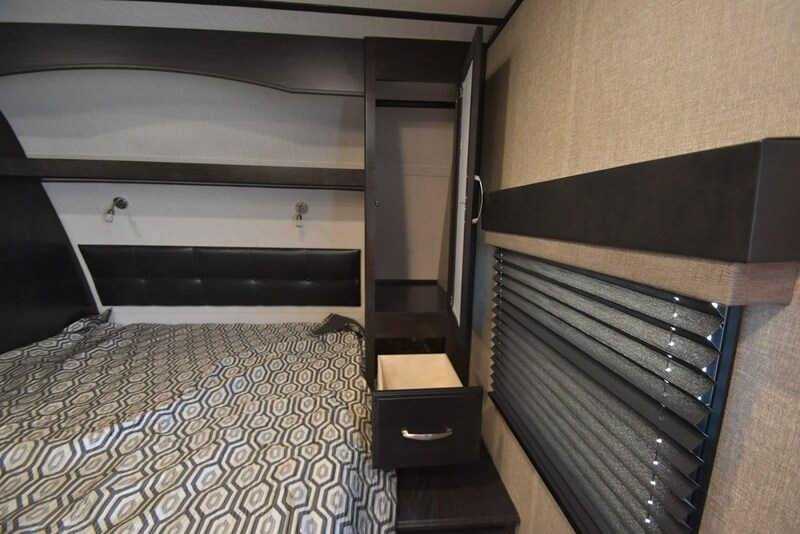 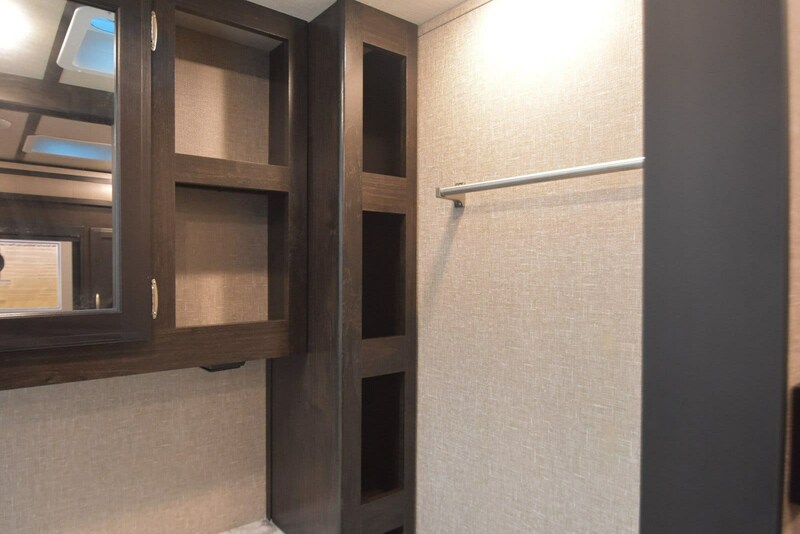 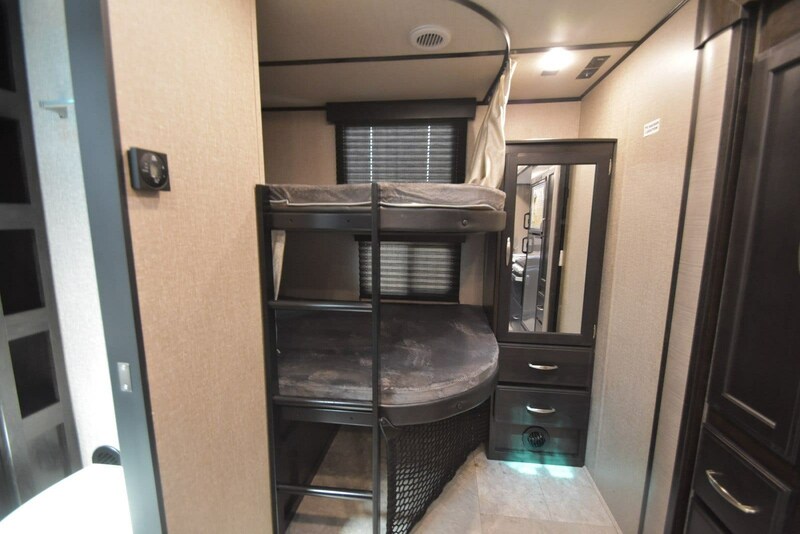 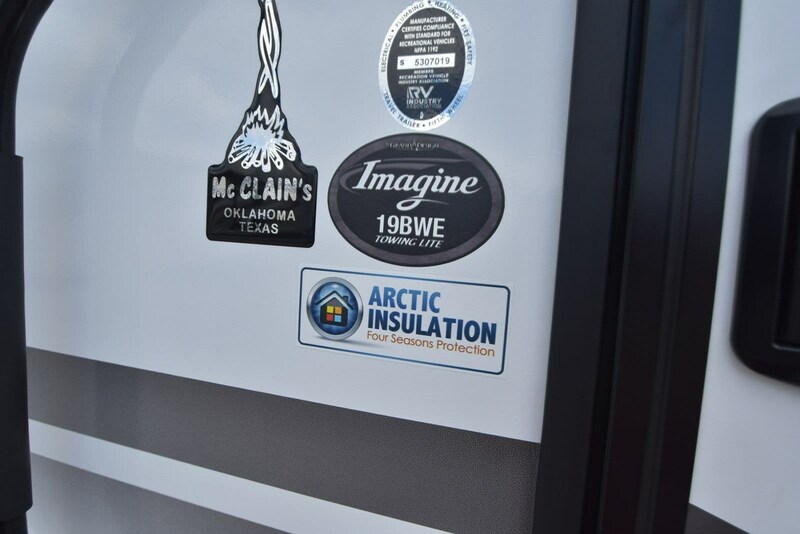 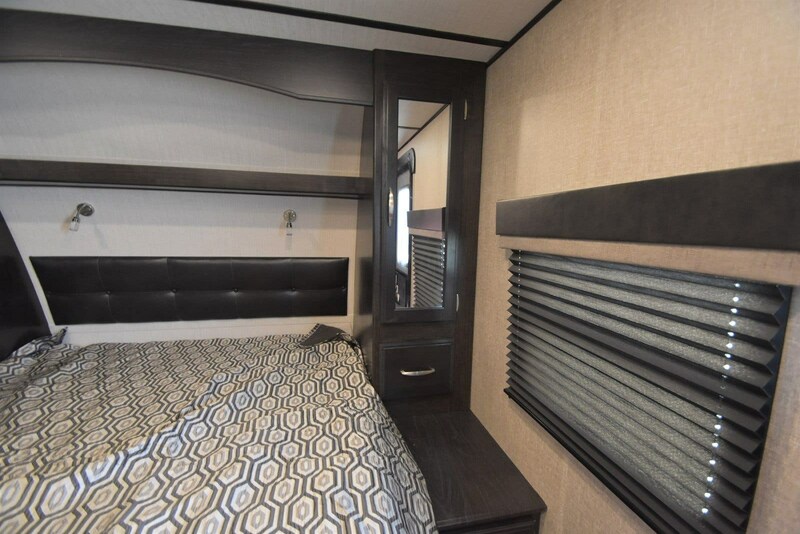 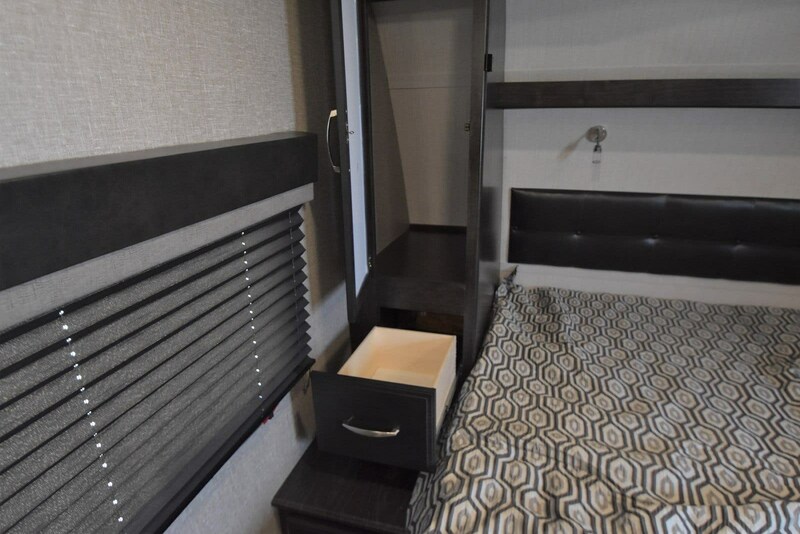 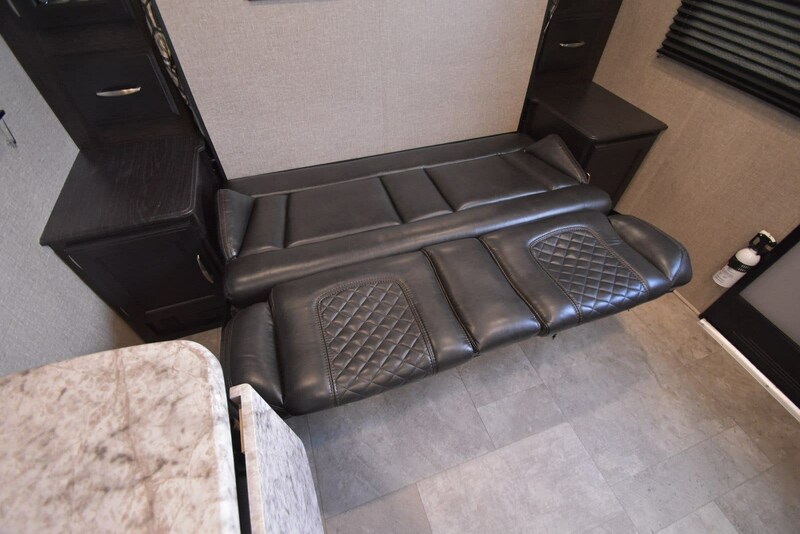 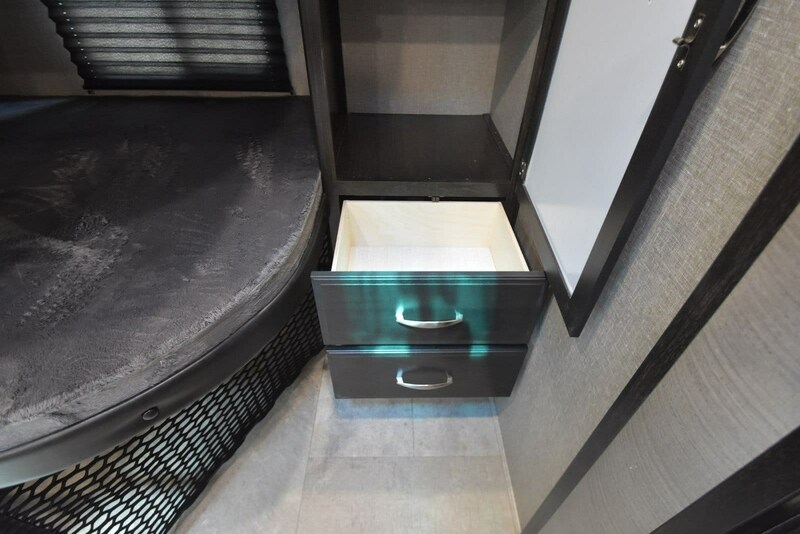 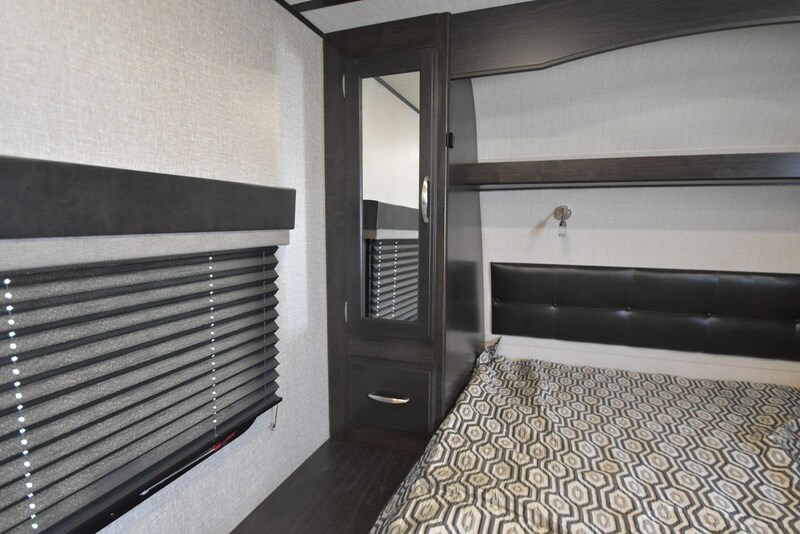 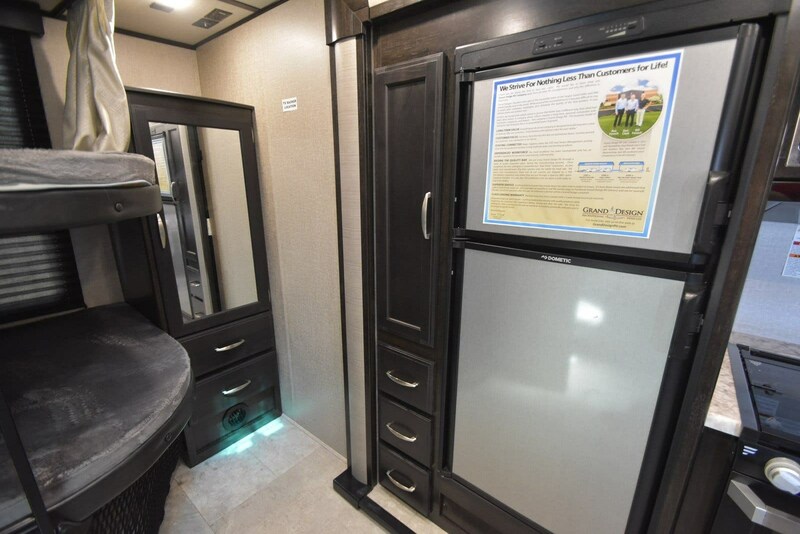 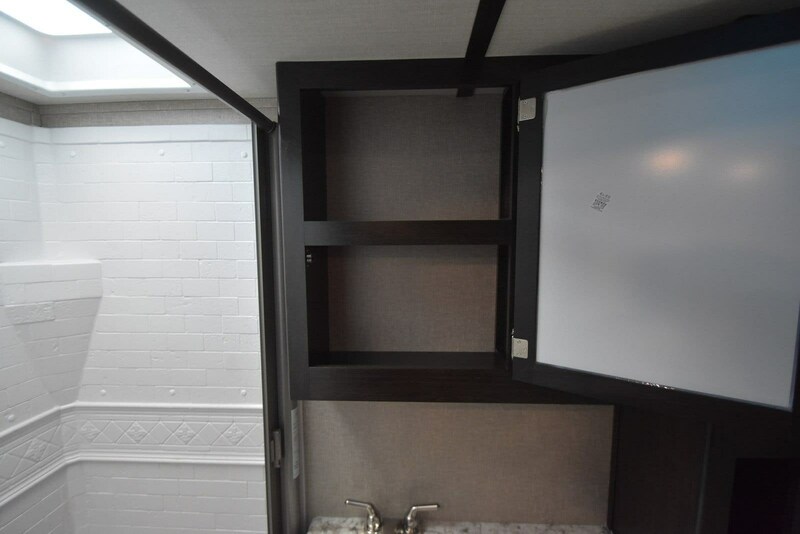 The Murphy bed located at the front of the trailer has wardrobe storage as well as bed side cabinets and drawers.The Imagine XLS 19BWE makes it possible to travel light and in style! 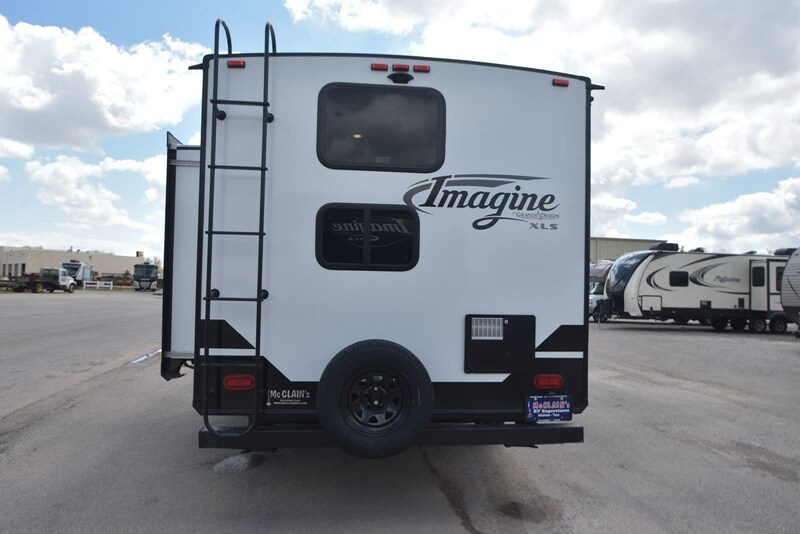 So stop imagining and stop in today to see all of these awesome features for yourself! 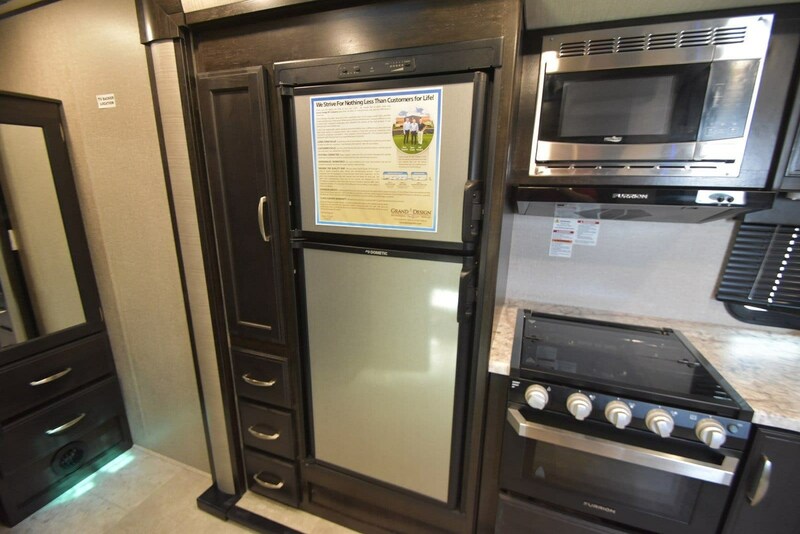 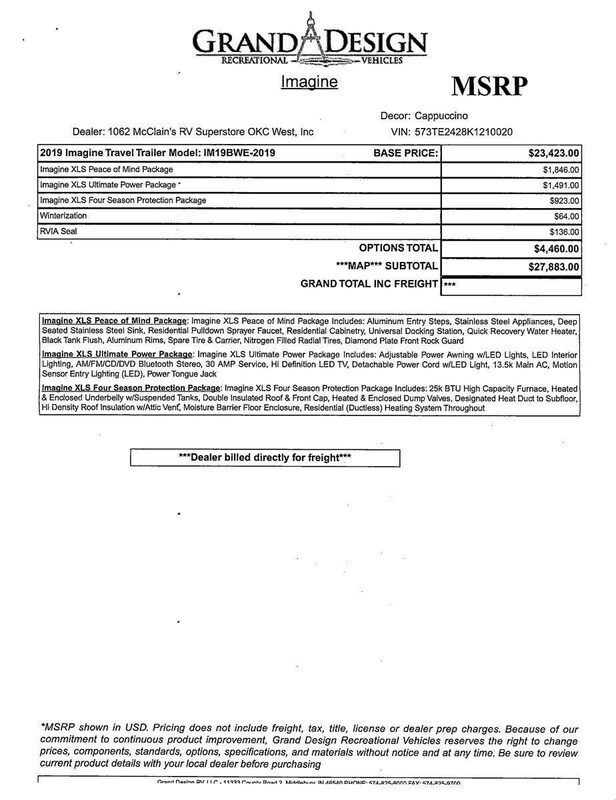 Check out Stock # 90550 - 2019 Grand Design Imagine XLS on granddesignsource.com!